It won't be much to my kid's preference, but I also love to watch a show with artists playing saxophones. You know that type of saxophone using synthetic reeds? That would be awesome! 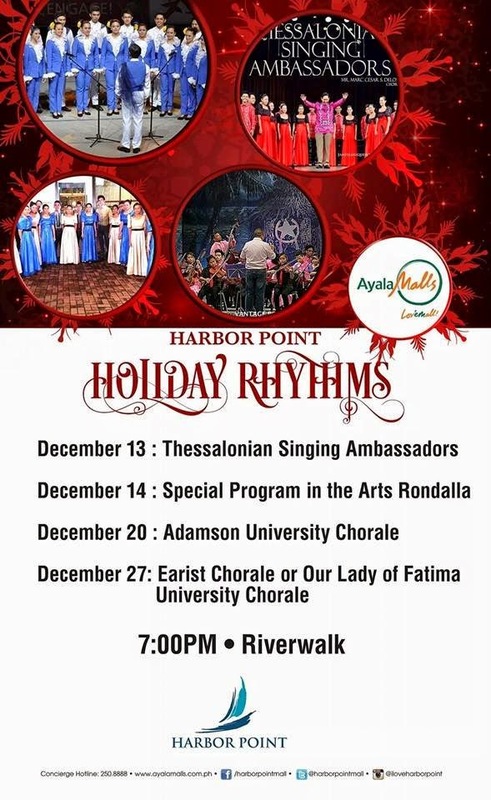 Anyway, a series of mini concerts will be held at the River Walk of Harbor Point Ayala Malls this whole month of December, so probably it would be nice to be able to see one. I will certainly mark my calendar for this series of shows.